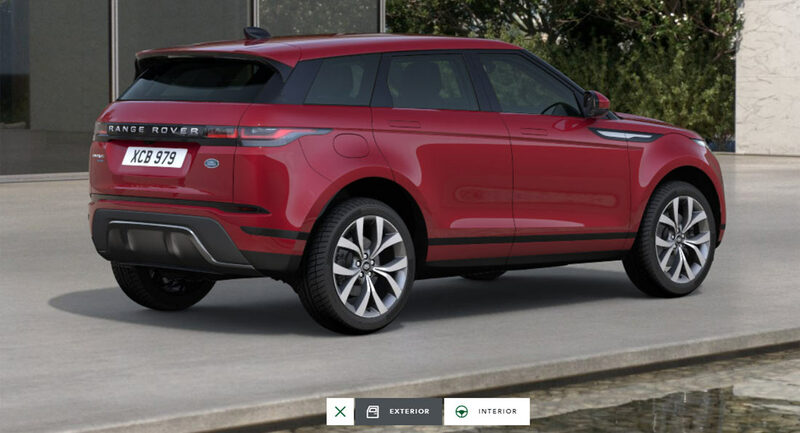 Land Rover Allows You To Customize Your 2020 Range Rover Evoque - AutoReportNG "AutoReportNG-The No 1 Car Blog In Nigeria That You Can Trust - AutoReportNG"
Less than a day after Land Rover unveiled the all-new Range Rover Evoque to the world, the official online configurator for the crossover has been released. 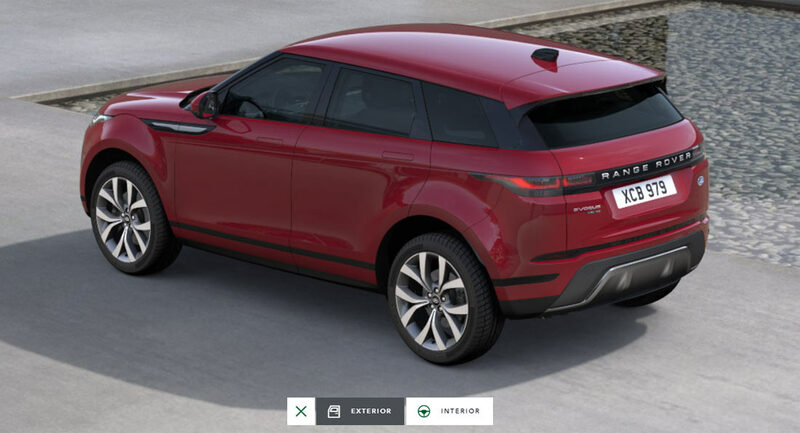 The tool provides budding customers (or anyone with a little too much free time), three variants to initially choose from; the standard Evoque, the Evoque R-Dynamic, and the Evoque First Edition. The Evoque First Edition is obviously the range-topping model and is adorned with a plethora of ugprades over lesser Evoque models. For example, its exterior comes complete with advanced Matrix LED headlights, privacy glass, a fixed panoramic roof, front fog lights, Automotive Headlight Levelling, as well as Auto-dimming, power fold, heated door mirrors with memory and approach lights. The First Edition also comes standard with 20-inch wheels and gains unique interior parts like configurable ambient lighting, an electrically adjustable steering column, and 14-way heated electric front memory seats. 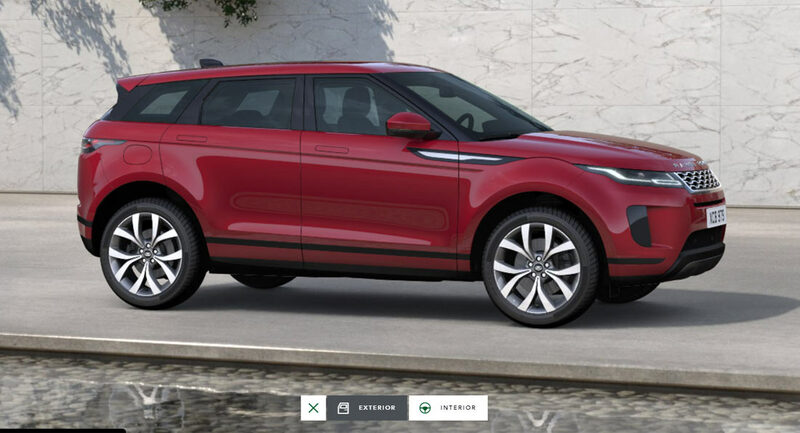 The new Evoque shares an uncanny resemblance to the larger Velar. 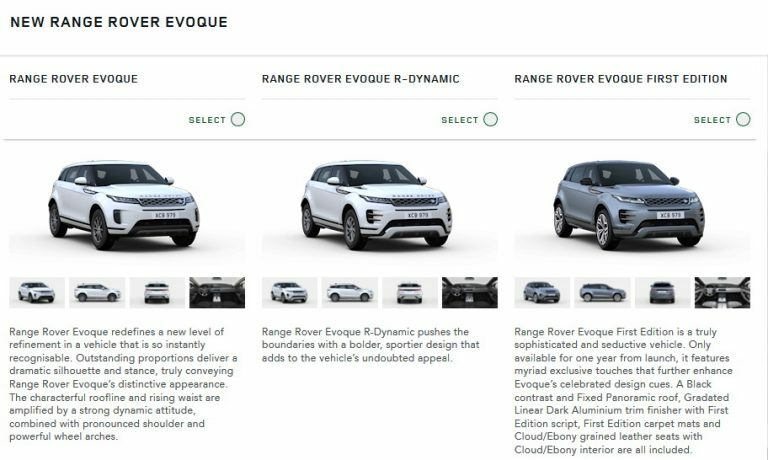 Once you select your desired Evoque variant, you’ll be given a selection of engines to choose from. Next, there are a number of specification packs that can be added. 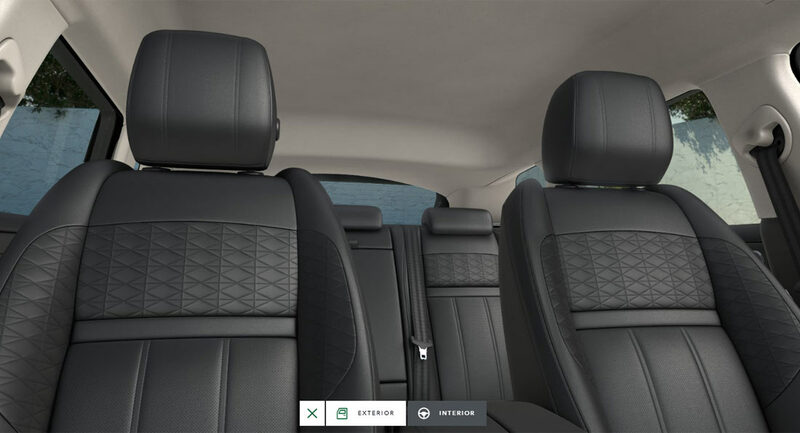 Despite being the range-topping model, the Evoque First Edition can only be configured in one of three colors. Buyers of the lesser models will have more paint choices at their disposal, including the likes of Firenze Red (pictured), Santorini Black, and Indus Silver. In the cabin, there are a number of configurations available but most consist of quite restrained tones of black and grey. With that being said, there is a dark red leather option available. 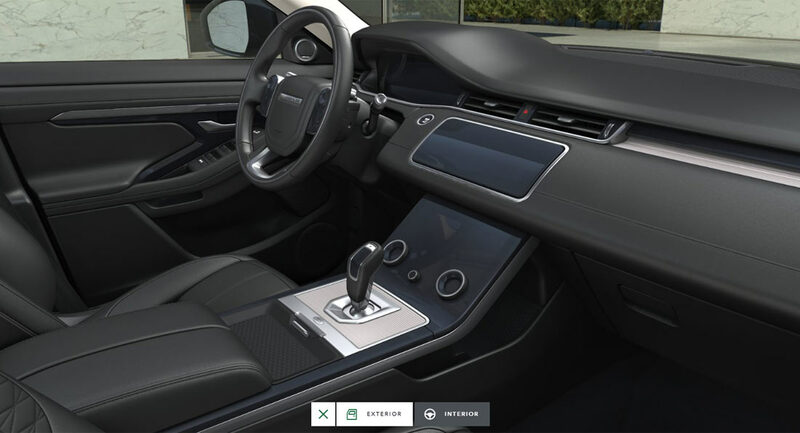 No matter what interior configuration you select, the Velar-inspired cabin looks good. The British automaker has yet to announce pricing details for the U.S. market. However, we do know that the new Evoque starts at £31,600 ($40,700) and rises to £40,350 ($51,970) in the UK.